By: FabianFiled under Bilder. 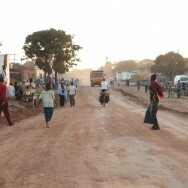 Tagged Africa, Africa by bike, Afrika, Bicycle, Bike, Chitipa, Fahrrad, Foto, Gravel Road, Malawi, Rad, Sambia. Bookmark the permalink.